Flo Rida, Will. I .Am, Hardwell, Deniz koyu, ROMANO & SAPIENZA & RODRIGUEZ and more. 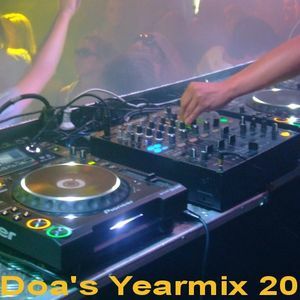 A mix with the best songs of 2012 from the Dutch Charts. Club, Progressive, Techno, Dance, R&B, DubStep & even some Dutch songs are all blended in 1 exciting non-stop mix. You can Enjoy it at home, in your car or on your Ipod. Free to download on www.djdoa.nl. If you like this mix, leave me a message & like / link on facebook. Wicked job Doa!!! Gonna definitely add this one to my home track list!